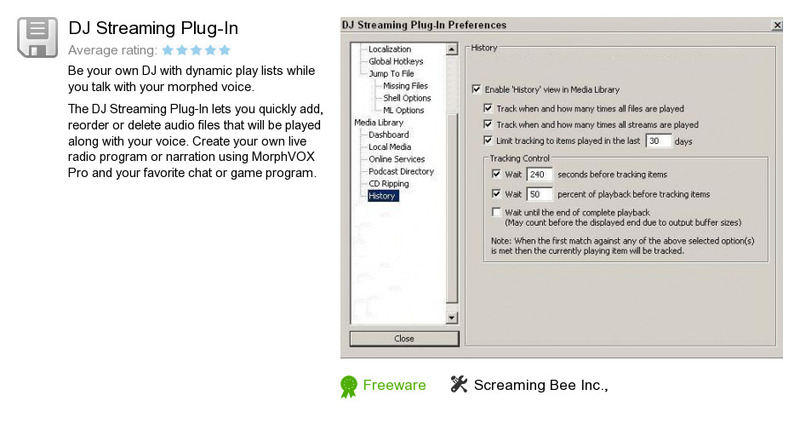 DJ Streaming Plug-In is a product developed by Screaming Bee Inc.,. We know of version 4.3. Version 4.3 is downloadable at our site. DJ Streaming Plug-In distributive has a size of 664,722 bytes.